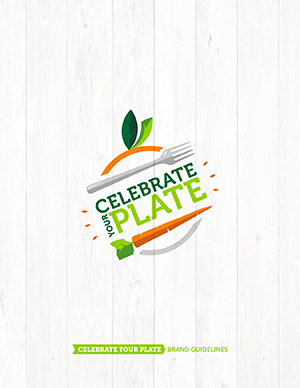 The Celebrate Your Plate logo is available for use by all Ohio State University Extension Family and Consumer Sciences personnel. Allow 3-5 business days for approval. Do NOT publish or distribute your proposed project until you receive written verification that your project has been approved by the Celebrate Your Plate Branding Subcommittee. 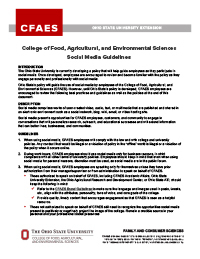 Richard Wofford, wofford.1@osu.edu, and CFAES Branding will need to review it if you want to use a university logo. If you intend to use the Celebrate Your Plate logo in addition to the university logo, it needs to be sent to Richard Wofford at wofford.1@osu.edu, for review by CFAES Branding. 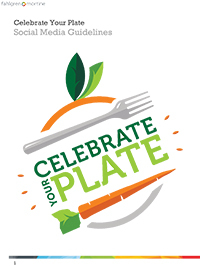 Facebook: How to submit posts for the Celebrate Your Plate campaign.